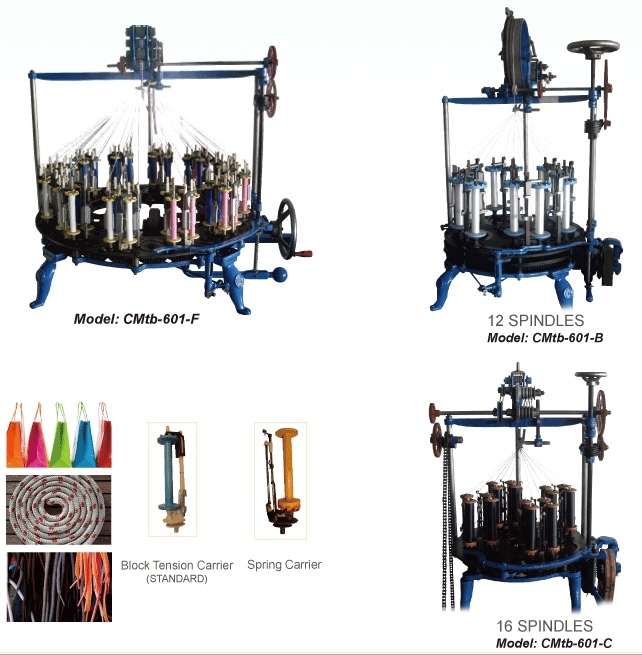 Braiding Machine (CMtb-601-F / CMtb-601-B / CMtb-601-C) - Charming Star International CO., LTD.
Braiding machine is widely used to various yarns including nylon, polypropylene, polyester, polypropylene/polyester blend. Equipped with PLC, automatic mess adjusting and motor-driven yarn feeders, user can operate this machine in a simple way. 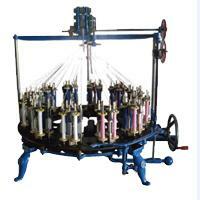 Charming Star offers you all kinds of textile machinery to customers and strives to achieve perfection to our products. This braiding machine can run automatically with high speed, saving the cost of labour, electricity and time. After more the 20 years’ experiences in this industry, we have become one of the leading manufacturers of textile equipment and service in Taiwan. The braiding machine we offered can be applied to produce many products, other than textile materials, such as shipbuilding materials, decorative or elastic ropes and belts, shoelace, etc. You can also choose different bobbin types. For textile manufacturing, Charming Star offers a full spectrum products and equipment, including knitting, covering, braiding machine, to packaging devices and raw materials. We have them all. If you are interested in our machinery and service, please contact us right away! 27F, -1 , No. 37,Sec. 2, Sanmin Road, Panchiao District, New Taipei City, Taiwan, R.O.C.